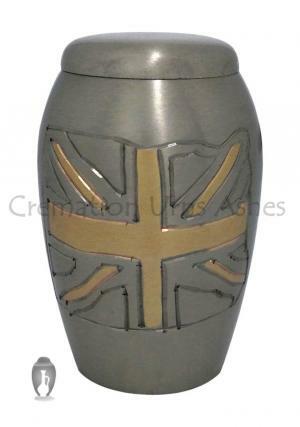 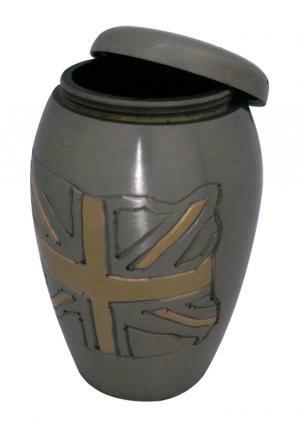 Small Monarch British Flag Graphite Keepsake Ashes Urn is a beautiful brass metal urn with engravings of UK Flag, decoration on urn finished in brass. 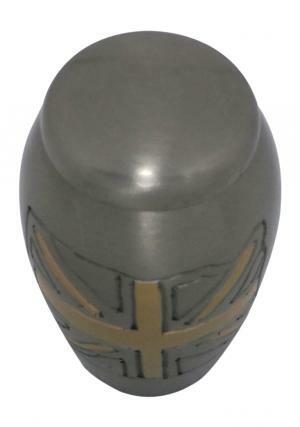 The enamel on outer surface of mini keepsake cremation urn is covered in graphite with smooth finishing. 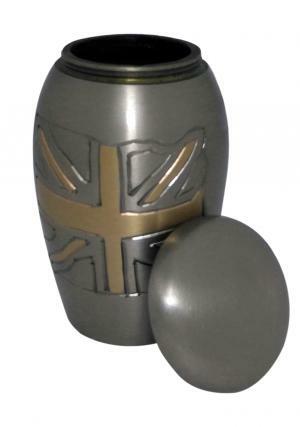 Little Monarch UK Flag Ashes Keepsake Funeral Urn decorated with flat lid on top has screw threading label engraved for an easy open and secure closure to insert minimal ashes of the departed love. 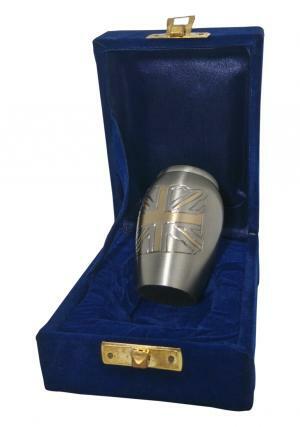 British Flag Engraved Minimal Keepsake Memorial Urn Ashes holds token amount of human ashes measured to 3 cubic inches, height of 2.7 inch, width of 1.5 inch and weighs 0.24 kg approximately.